If you’re living off the grid or simply want to make your own natural gas at home, it’s really not as complicated as it might first appear to be. Especially if you keep things simple. 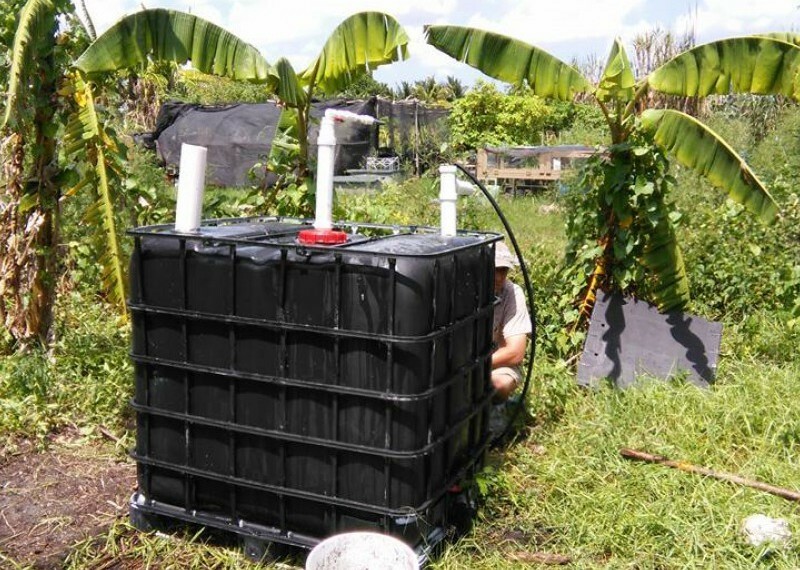 This video from solar cities shows you how to make a simple biodigester using an IBC. The whole idea here is to create methane, just like humans & animals do in their stomachs as they’re processing food. A biodigester uses the same principal. You input your food waste, manure, and other organic waste products into the digester, and as it decomposes it produces natural gas which you can then capture and store for use. You could do this. A tonne of food waste would optimally give you around 120m3 of biogas at this sort of scale. In energy terms, that’s about 3100 MJ. In kg wood equivalent, that’s about 120kg, give or take. The average family produces around 150kg of food waste a year. Or about 18kg, wood equivalent. You could add other materials to this, but the yields will vary depending on feedstock. AD makes sense when you have a reasonable input. Volume is a consideration. Better not to produce the food waste in the first place of course! Alan Brice, one for you maybe? The amount of Veg Stel eats…. Maybe you could plumb Stel up in similar manner? Just a thought. Tried that. She didn’t like it. Some people just don’t see the benefits. Ah well merry Christmas to you both. Milk usually does it for me. Looked into this a while back dear, I’ve got the location and the system in mind for it. Couldn’t remember if you had or not ? Covered, fenced concrete slab between the candle and the shed tank. Livestock are butchered and shorn there, all wastes to go into the digester as well as a shed toilet’s wastes. Animal carcassess feed the digester rather than the incinerator. let’s get in there! i can produce a lot of gases! can’t you just eat something? Nice! But how do you actually use the methane from the ballons? Don’t it need to be pressurized? I have a wife that could power a small town if she was tapped! Isn’t methane one of the worst global warming gases? This looks like a good page ay.. In a year you’ll have enough to heat your home for one day. Antonnia Wheatley Craig’o Ottley-Thistlethwaite Anita O Thistlethwaite I could probably run a small town? Neysan Pertl- this made me think of you! Justin I have 3 children who make plenty of gas! I’ll check this out as well though ? David Best … the video was free to access! Really keen to try this. I have the tank. Have the natural gas powered oven. Like the hook up to shower grey water for heat idea and sink grinder. The only downside is my chickens will miss out on my vege scraps.